Mineral collectors use a language all their own. Successful mineral collectors are well versed in the vocabulary of the science of mineralogy, using words that are unique to the mineral collecting community. 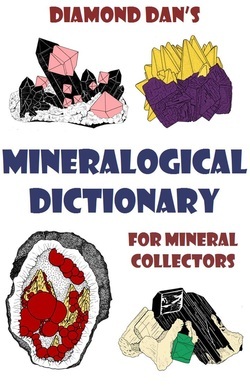 This Dictionary contains many of the scientific, as well as common, words a mineral collector will read in popular mineral magazines and books or hear at shows and tail gate events. This book is designed to be useful to the mineral collecting hobbyist. For orders of 1 to 10 Copies, Click the "Add to Cart" button below. For Multiples of 10 copies, please click the "Add to Cart" Button below. For Multiples of 100 copies, please click the "Add to Cart" Button below.